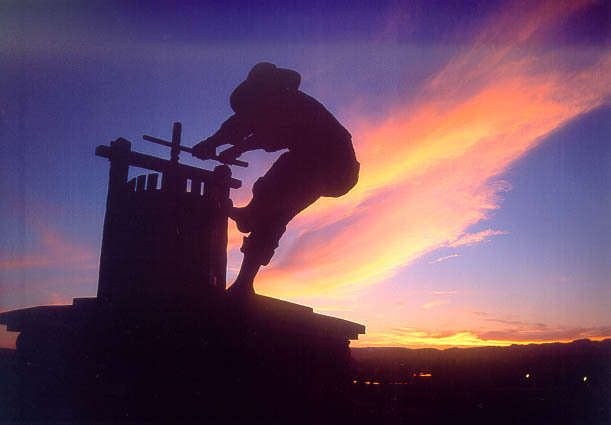 "Grape Crusher Statue at Sunset iv"
Returning to the Napa Valley, we find the Grape Crusher Statue set ablaze by a raging infierno of sunset sky. The Grape Crusher Statue is a Napa Valley Landmark that greets visitors as they travel along Hwy. 29 into the southern Napa Valley.